If you’re looking for fun, simple halloween activities for kids that give a big boost to developmental skills…you’ve come to the right place! 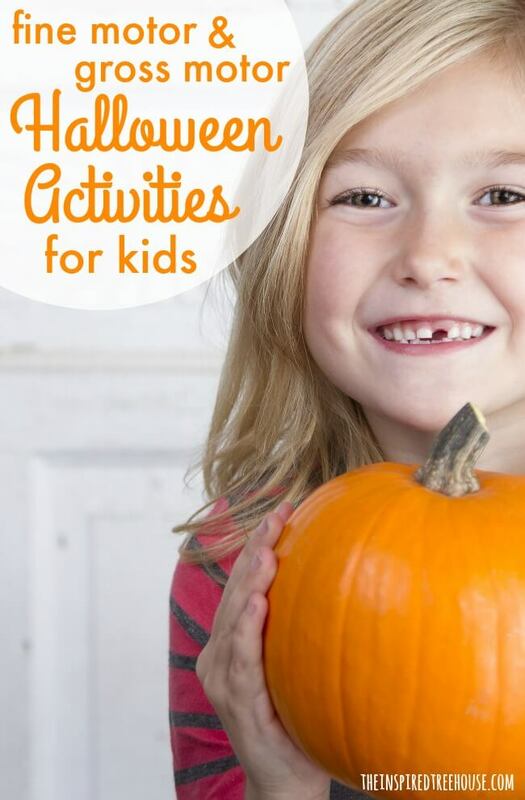 Try a few of these out to keep kids entertained at a Halloween party, or bring them into the classroom to celebrate this spooky time of year with your students! 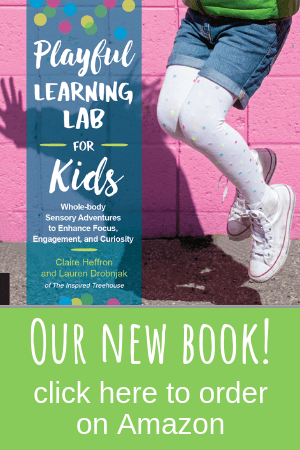 All of these activities are designed to promote gross motor, fine motor, and sensory development. 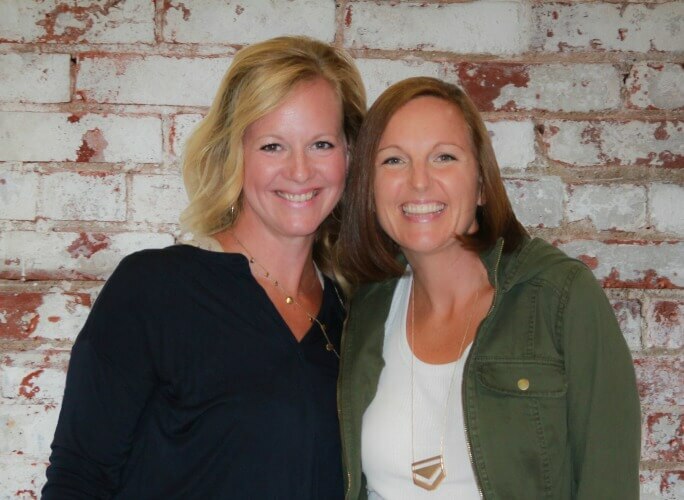 So they’re more than just fun…they’re good for kids too! Monsters Moving Madly – How about a game of Halloween charades? Print off the free printable charades cards and have fun acting out a few spooky characters with your kids! 5 Little Pumpkins Ball Game – You probably already know the rhyme about the 5 Little Pumpkins. This gross motor game puts a whole new twist on the old classic poem. A Walk on the Wild Side – Balance is the name of the game in this fun and creative movement challenge! Kids will love designing their own monster feet! Candy Corn Cookie Craze – This activity packs a whole lot of fine motor punch and the tasty treat will quickly become a fall favorite at your house! Frightful Flashlight Scavenger Hunt – Round up the neighborhood kids and get outside on a cool, crisp evening to search for the fall and Halloween objects on the free printable scavenger hunt page! Make Me a Monster With Free Printables – Kids will love this fun Halloween drawing challenge where they get to sketch out and decorate their own monsters! Another free printable gives little ones all of the visual cues they need to draw some spooky creatures! “Tear”-ifying Jack-o-Lanterns – Get those Super Fingers working with this great challenge! A fun, mosaic-style craft with a bulletin board-worthy finished product! Spooky Spiders: 3 Fun Ways to Spin a Web – This post is perfect for your child’s classroom Halloween party, or a party right in your own home! 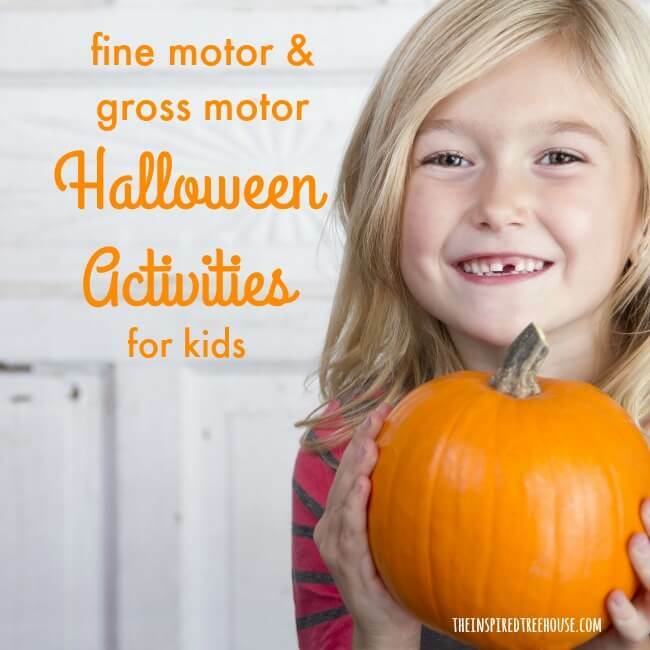 From fine motor skills to gross motor skills to social and cooperation skills, these fun games are an awesome way to celebrate Halloween! The Little Old Lady Who Was Not Afraid of Anything Craft for Kids – One of our favorite classic Halloween books with a simple little cutting craft to go with it! A great way for young kids to learn how to cut on straight lines! Spooky Spiders Halloween Craft – This 3D spiders craft is more than just cute, it’s the perfect way to work on lots of great fine motor skills at once! This one is great for younger kids who are just learning to cut on lines with scissors. Glow in the Dark Ghosts – These little guys are the perfect prop for a puppet show in the dark or a party centerpiece. If you’re looking for cute make-and-take Halloween crafts for a classroom party – this is the one for you! Mini Monster Craft – Kids will love creating their own one-of-a-kind Mini Monster craft with this super easy (and super cheap!) idea. This one is awesome for working on fine motor and bilateral coordination skills and would be great to make at a kids Halloween party! Spider Fine Motor Fun -Here’s a super fun and easy fine motor game – perfect for working on grasping and visual motor skills! DIY Halloween Block Puzzle – All kids love puzzles! This homemade set of blocks offers up a challenge similar to a Rubik’s Cube except that your child can manipulate each of the pieces in their hands to find the correct pattern to complete the puzzle! Ghost Tag – Our summer version of Firecracker Tag was such a hit that we were inspired to create a Halloween-themed tag game that would be fun to play in the day or at night! Ghosts in the Graveyard – One of our favorite backyard games is Ghosts in the Graveyard. So we thought it would be perfect to reuse the name for a fun Halloween game that mixes soccer and tag up into a fun competition that can be played in the light or the in the dark! What are your favorite Halloween activities for kids? Share them in the comments below!